Another Monday has arrived, bookish friends. Here's hoping that it's been a good one for you so far! I'm happy to share the latest book in Carissa Andrews' series. 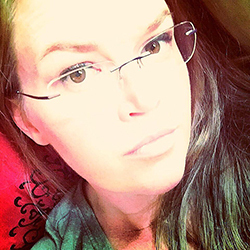 Yes, it's cover reveal time! Book 3 of the Pendomus series is here! 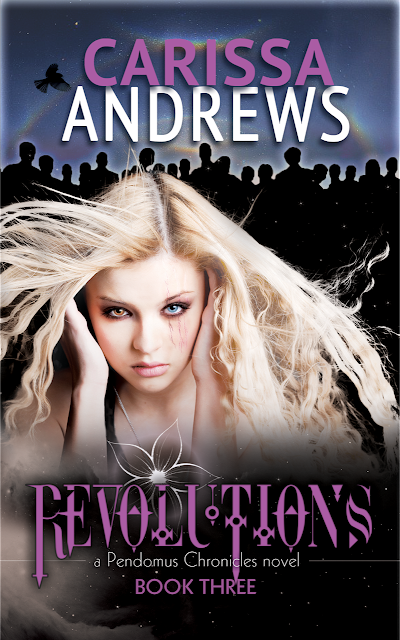 Revolutions is the third and final conclusion of the Pendomus Chronicles Series. 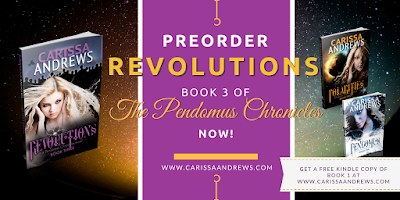 To see where it all began, be sure to check out Carissa's first novel, Pendomus: Book 1 of the Pendomus Chronicles. As the timelines of Pendomus fray, one girl born with power has the ability to set things right. There’s more than meets the eye to Videus’ obsession with Runa and her bloodlines. The only problem is, unraveling the mystery could unleash catastrophe on everything she holds dear, if she’s not careful. Can Runa stop Videus once and for all—or will the fate of Pendomus be locked forever my one man’s madness? Step into Pendomus—a world that meshes mystery, magical creatures, and destiny—with science and technology. Truth be told, I was over the moon when Carissa contacted me about doing this reveal. Pendomus, the first book in the series, kindled my imagination and I've been eagerly awaiting the finale so I can start from the beginning and read the whole way through. I can't wait!